Queensgate Instruments has launched the new, faster, more responsive 500µm Z-Stage with Dual Sensor Technology™ at SPIE Photonics West 2013 in San Francisco. The NPS-Z-500A is a piezo driven, flexure guided stage featuring Dual Sensor Technology which delivers a displacement of up to 500µm in the vertical axis with an unbeatable step and settle time of less than 20ms. Dual Sensor Technology is a pioneering control technique which overcomes the limitations of traditional approaches to allow faster step responses, throughputs up to 3x faster than the industry standard, improved stability against payload changes and a dramatic increase in mechanical bandwidth. 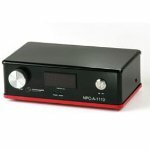 The NPS-Z-500A is a nanopositioning stage with integrated capacitive position sensors for operation in closed loop. 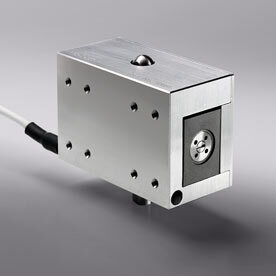 Making use of Queensgate’s Dual Sensor Technology™, it has been specifically designed to deliver long displacement - up to 500µm linear motion in the vertical axis - with a step and settle time of less than 20ms. Capacitive position sensors and an advanced flexure design result in a highly linear device with outstanding resolution, repeatability, stiffness and stability at the nanometre level. Low off-axis errors and a high resonant frequency further enhance the performance of this advanced design. Queensgate Instruments was founded in 1979 and span out from a ground-breaking research programme at Imperial College, London. Queensgate Instruments quite literally "wrote the book" on Nano-positioning taking the idea from the lab to a cynical world who believed it couldn't be done with the required level of accuracy. The book "The Nano Positioning Book" by Thomas Hicks defined the need for stringent use of words such as "precision" and "accuracy" and these definitions are still upheld today as the only way to describe the performance of Nano-positioning systems.